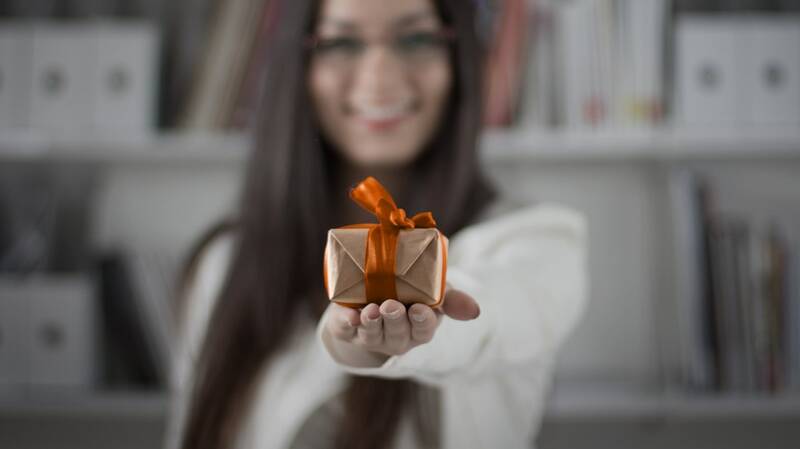 Choosing the perfect gift for a colleague can be tricky, especially if you don’t know what kinds of things they enjoy—and with the season for gift swaps fast approaching, hunting for a fun but affordable present can seem like a challenge. We’re here to help! Here are eight creative—and wallet-friendly—gifts that will delight and amaze your coworkers. Travel is an important aspect of business these days. Whether you work in an industry where travel is common or know your coworker has a European adventure coming up soon, a passport holder can be a thoughtful and practical gift. Some online retailers sell beautiful leather passport holders in a variety of designs and colors for under $20. If your coworker won’t stop talking about that new movie, TV series, or video game they’re obsessing over, your shopping has probably done itself: There’s a good chance those characters come in figurine form. Alternatively, other pop culture memorabilia are a creative way to spruce up a coworker’s desk. All of these gifts can be bought for under $20, and you’ll get points for paying attention, too. Self-contained terrariums are the ideal gift for those who appreciate nature but don’t have the time to invest in an actual garden. The upkeep is minimal, and you can get a lovely little terrarium with a succulent or air plant inside for under $20. Terrariums are a great way to liven up a home or office space! From premium beans to clever mugs to java-scented candles, there's no shortage of gift ideas for the coffee enthusiasts in your office. If you want something a little different, consider a Vietnamese coffee filter. These metal filters, known as phin, are easy to use and under $10—and for those who are patient, they brew excellent drip coffee. Is iced coffee your co-worker's drink of choice? Consider a dishwasher-safe iced coffee maker that makes one cup at a time, whenever they need it most. Who says coloring is just for kids? Studies have shown that adult coloring books provide therapeutic benefits, including mindfulness and stress reduction—and who couldn’t use some of that? An array of beautifully illustrated and incredibly detailed coloring books are available online and at many bookstores for as little as $5. Don’t forget the colored pencils! Funny needlepoint messages are very much trending right now. You could order one with a personalized message or inside joke, or defer to a nice pattern or landscape. Save money by buying a $5 pattern and stitching it yourself! Raise your hand if you’ve ever eaten dinner in bed while binge-watching your favorite show on your laptop. It’s more common than most people would care to admit, so why not make those lazy lounge sessions more comfortable? A sturdy laptop stand (under $25) will ensure a better viewing experience by elevating the screen to eye level and eliminating neck cramps. This will also come in handy for any work-from-home days! Your coworker will thank you later. If your coworker loves to cook and try out new recipes, get them something that will challenge their culinary skills. This could be a cheesemaking kit (under $20), sushi rolling kit (under $20), pasta maker ($25), fondue maker ($25), or something else entirely. And if you’re lucky, they might share the fruits of their labor! Finding creative gift options that won’t break the bank is a hallmark of a smart shopper. Smart shoppers also use Discover, which automatically matches the cash back you earn, dollar for dollar, at the end of your first year. Terms apply. Learn more at Discover.